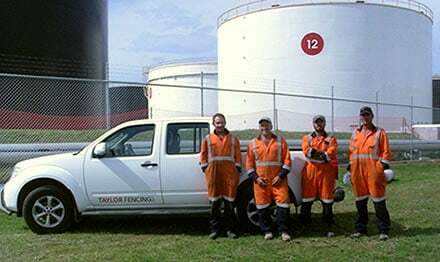 Taylor Fencing builds fences that stand the test of time, and if you live or work in the Greater Wellington area, chances are you've seen some. 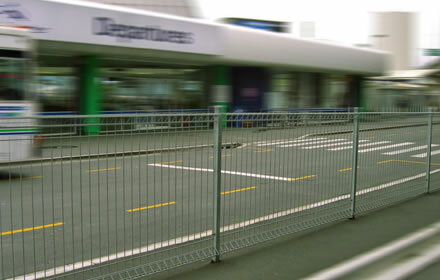 From fences we have built around prominent landmarks like Te Papa, the Wellington Waterfront, and the Interislander Ferry Terminal, to fences around significant commercial facilities including Westfield Queensgate, Mitre 10 Mega Petone, and Bunnings Warehouse Naenae. Whether you need to keep people and animals out or in - we have the security fencing solution for your requirements. Pipe and Chainlink Mesh, Iron Hurricane Security Panels, Palisade, and Electric. Temporary or permanent options available. We are Wellington’s leading sports fencing specialist, working with clubs, local authorities, schools and businesses. We provide large scale solutions, and are experts in fencing around artificial turf. Tennis courts, cricket nets, golf courses, driving ranges, and more. We have supplied and installed childproof fences throughout Wellington for many years. From childcare centres, kindergartens, and schools, to around swimming pools and other water hazards - complying with Occupational Safety and Health Standards. Perfect for warehouse, commercial storage facilities, and residential apartment storage. Popular means of securely storing bikes. Protective cages are ideal for securing hazardous waste, dangerous and flammable goods. Made to measure. Our team has a high level of expertise and industry experience, are fully trained in Site Safety, and are holders of the Building Construction Passport. Whether you already have plans drawn up, or you need some advice on the best fence to suit your commercial or residential project, we are qualified to help.